When a research company brings back parasitic organisms from outer space, one of the creatures, known as a symbiote, bonds with a reporter named Eddie Brock, who is looking into this company's unethical practices in human testing. Now, the company's owner Carlton Drake wants his symbiote back and will do whatever it takes to get it. Will "Venom" manage to find a symbiotic relationship with audiences, or will it wind up being "a turd in the wind," as the trailer so eloquently put it? 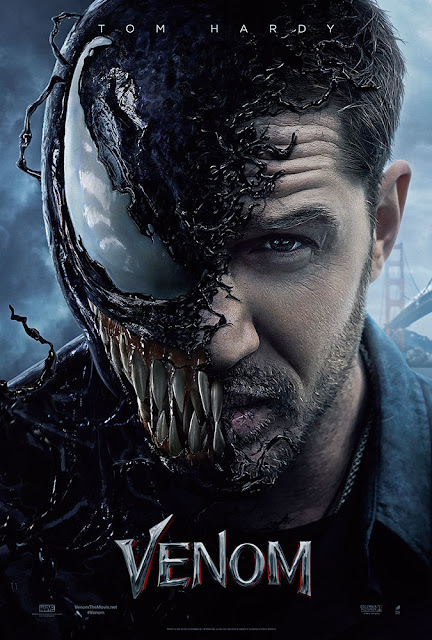 "Venom" is directed by Ruben Fleischer, who has helmed other films like "Zombieland," "30 Minutes or Less," and "Gangster Squad." The screenplay is written by the writers of "Kangaroo Jack" (Scott Rosenberg), "The Dark Tower" (Jeff Pinkner), and "Fifty Shades of Grey" (Kelly Marcel)...oh sweet jesus, really?! It is, of course, adapted from the comic book by Todd McFarlane and David Michelinie. Eddie Brock (Tom Hardy) is a reporter who specializes in uncovering hard-hitting stories in San Francisco. 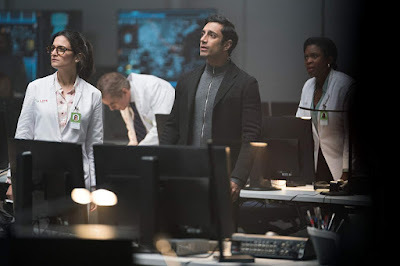 When he tries to dig up dirt on the human rights violations perpetrated by the Life Foundation and its billionaire owner Carlton Drake (Riz Ahmed), it costs Eddie his job, his fiance Annie (Michelle Williams), and pretty much his entire life as he knew it. Many months later, Eddie gets a tip from a doctor (Jenny Slate) working at the Life Foundation that they have been experimenting with parasitic aliens known as symbiotes and bonding them with poor people, who are dying because of this "research." When Eddie goes in looking for evidence, he winds up getting bonded with a symbiote called Venom, which gives him powers he could never even imagine. Now, Drake wants his alien back and will do whatever it takes to get it. By the time we watched "Venom" (literally the Friday it was released), there was already a veritable crap-ton of negative buzz swirling around about it. It was difficult to miss seeing people online compare it to other movies like "Catwoman" and 2015's "Fantastic Four." We will admit, we weren't big fans of the trailer. The "turd in the wind" line is just so, so, so cringe-worthy. Each time we heard it, we recoiled instantly. That bad buzz allowed us to be slightly surprised when "Venom" turned out to be nowhere near as bad as the total trainwreck others have insisted it is. Don't get us wrong, it is still extremely flawed. It has an underdeveloped, throwaway antagonist in Carlton Drake, and Riz Ahmed is wasted in this role. In fact, this movie squanders almost all of its capable, talented actors, not that they're putting much vim and vigor into their roles in the first place. The exception to this is Tom Hardy, who does a good enough job as both Eddie Brock and Venom. The story, however, is an unfocused mess. It doesn't dive deep enough into the relationship between the parasite and the host, and it hardly skims the surfaces about their initial battle for control. There should have been a little more conflict in Eddie Brock resigning himself to being the host for a creature that eats people. Their whole situation seemed way too convenient. 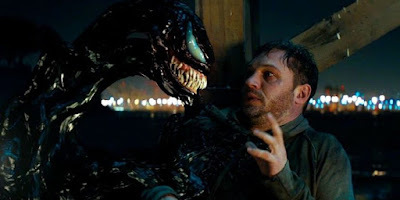 Considering "Venom" is a movie about an alien that chomps on people's heads as a light snack, the movie as a whole really lacks teeth. 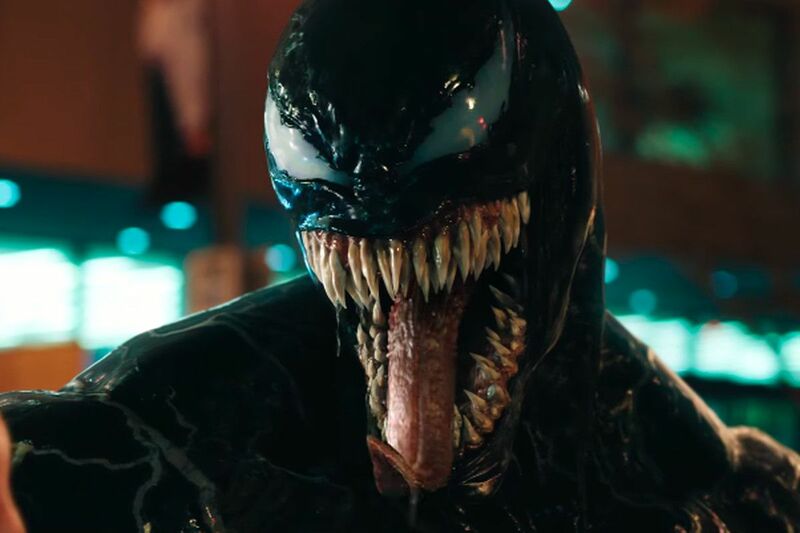 Venom is a comic book character that could have easily lent itself to a far more graphic, daring, and hard-as-steel story, but Sony lacked the guts to pull it off and delivered audiences a Nerf product instead. That being said, there is still a bit of fun to be had here. The humor does work on occasion, and when we weren't rolling our eyes (which was a lot), we were smiling. Okay, maybe not full-on smiling, but like half-smirking smiles. Take what you can get, we guess. If you are a fan of Venom and the comics about this character, chances are, you will enjoy this movie, but when it comes to comic book films, Sony is still stuck in an early 2000's mindset. It has obviously missed the depth of evolution that comic book films have gone through over the last decade. That being said, "Venom" shows us that there is still a place for simple, mindless fun in the world, even if that amount of fun is very minuscule.